Do you remember last spring when we did the *Almost* edible 10 plagues study? Well we have come back around to studying Exodus. This week we have been studying about how God led Moses and the Israelites out of Egypt to the promised land. Like last year, I wanted to try and make the concept memorable to the kids by making it edible. 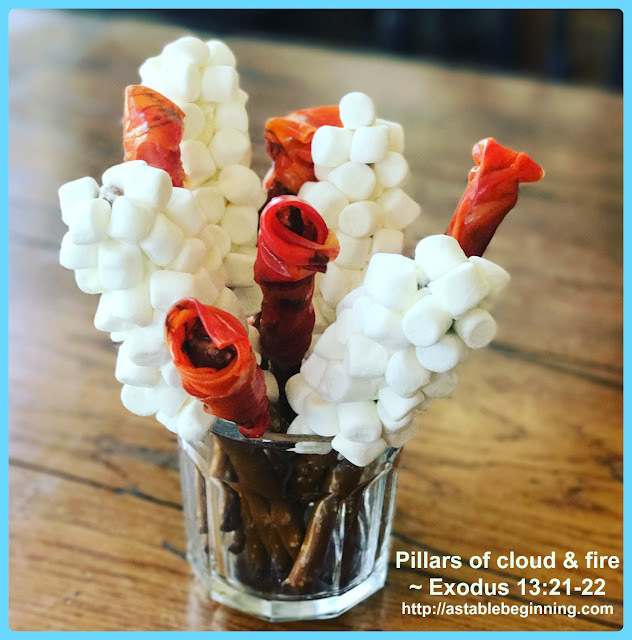 So, I decided to make edible pillars of cloud and pillars of fire. To whip these up was really quick and easy. 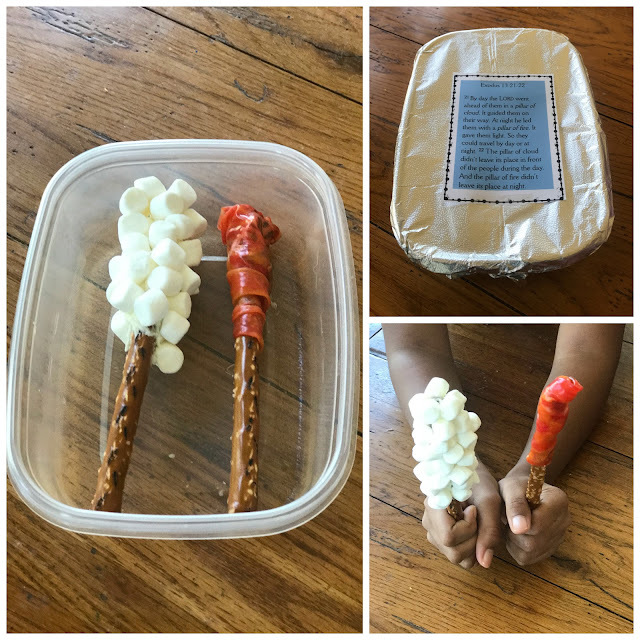 I used pretzel rods, cream cheese frosting, marshmallows, and cherry fire fruit roll ups. I love how they turned out! Mikayla had a double day today so I brought her’s to the gym so she could eat hers because it would have been eaten by a certain little brother if left home until evening. These were a big hit in our house!